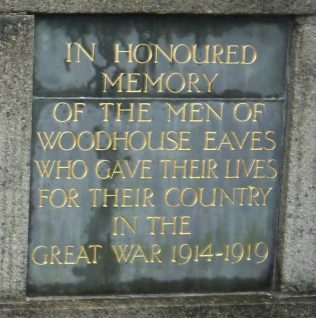 The only son of Woodhouse Eaves who died in the First World War and was commemorated in the Wesleyan chapel was Joshua Ellis Squire. 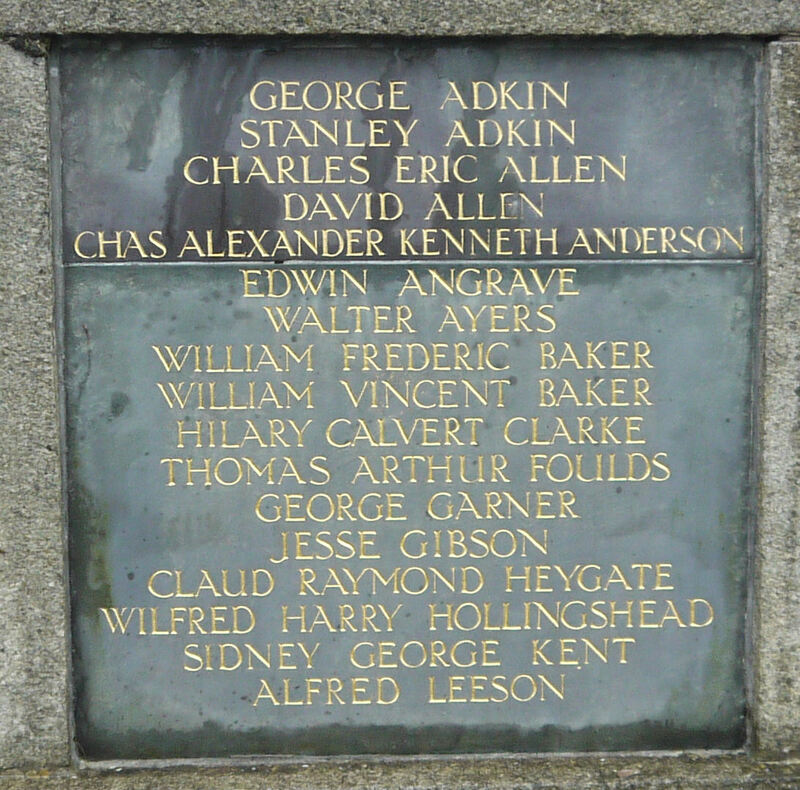 The village war memorial lists 40 men who died in the 1914-1918 conflict. None of them have any religious affiliation in the Commonwealth War Graves Commission database, but the baptism register of the Wesleyan chapel has been deposited, and the Sunday School register from 1900 to 1976 has recently come to light. From these documents it is possible to have some confidence that nine of the dead (22% of the total) had some connection with the Wesleyan chapel. Sidney Alfred Bowler was born in 1885 and died in France just after the war ended on 16th November 1918. 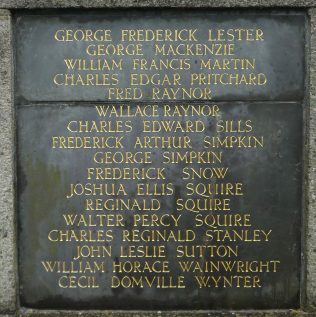 A driver in the Royal Field Artillery he was married to Lily (nee Smith) who was from a family associated with the chapel, and who had attended the Sunday School for a number of years. Thomas Arthur Foulds was born in 1894 and died in Mesopotamia (Iraq) on 9th March 1917, where he was serving with the 2nd Leicesters. He was a member of one of the founding families of the chapel (with relatives buried in the chapel burial plot) and he attended the Sunday School from 1900 to 1910. Frederick Hill was born on 12th October 1888 and baptised in the chapel on 16th December 1888. (It came as a surprise to discover that none of the other known Sunday School scholars had been baptised in the chapel.) A corporal in the 1st/7th Argyll and Sutherland Highlanders he was killed in France on 15th June 1916. Fred Raynor born 1886 attended the Sunday School from 1900 to 1901. 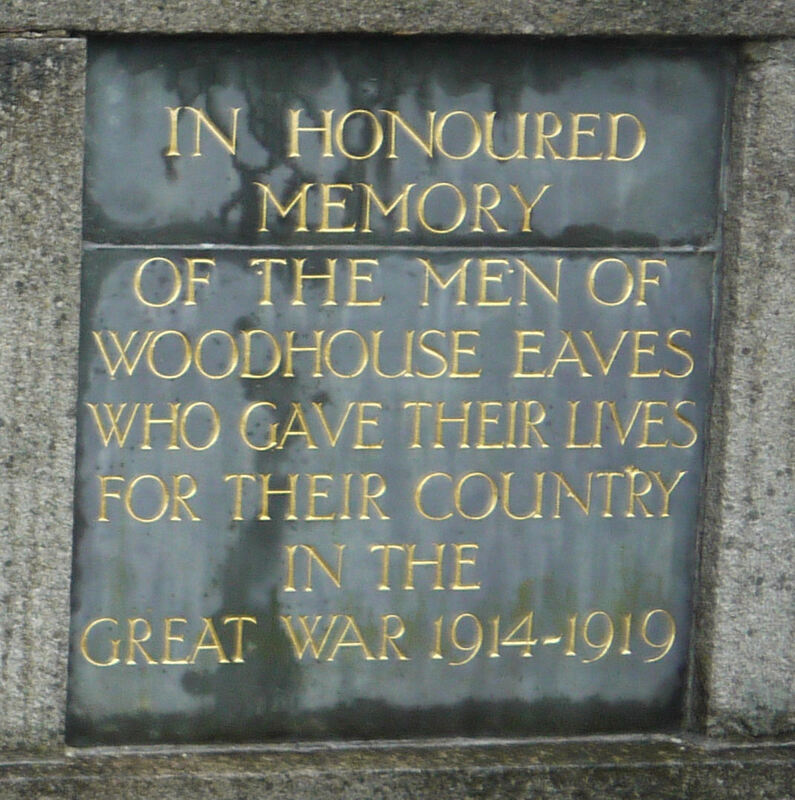 A private in the 1st Leicesters, he was killed near Ypres on 28th December 1915. Wallace Raynor born 1883 was the elder brother of Fred. It is therefore probable that he attended the Sunday School in the 1890s, before we have a register. A private in the Royal Canadian Regiment, he was killed in France on 24th April 1917. Fred Snow was born in 1894, and attended the Sunday School in 1902-1903. A private in the 8th Leicesters he was killed in France on 11th April 1917. Joshua Ellis Squire is the subject of a separate page. He attended the Sunday School 1900 to 1905. 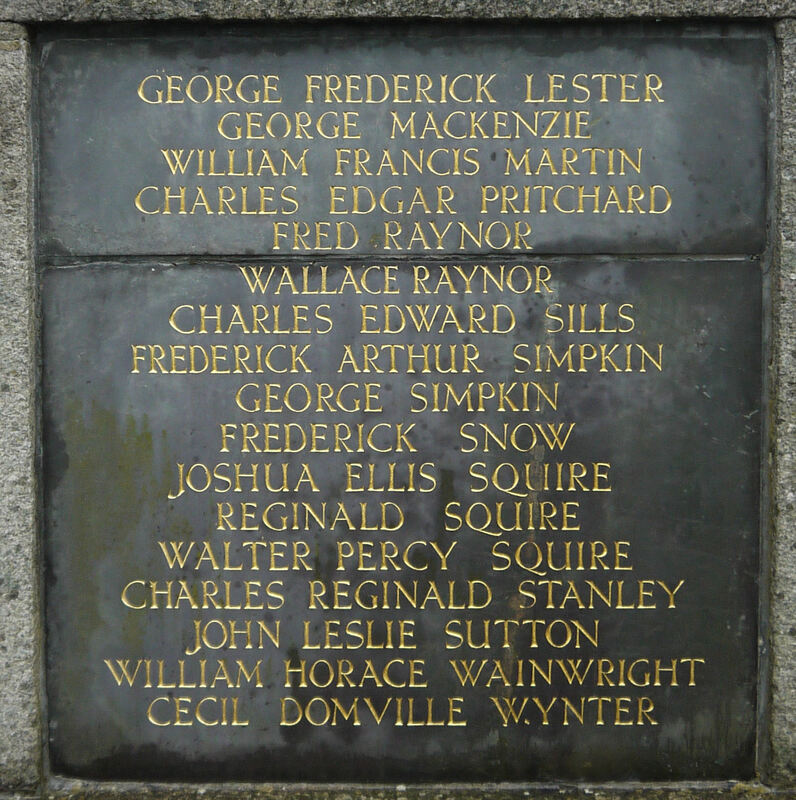 Walter Percy Squire or Squires was born in 1892. A Sunday School scholar from 1900 to 1907, he also died just after the Armistice on 28th November 1918 whilst serving as a private in the King’s Shropshire Light Infantry.